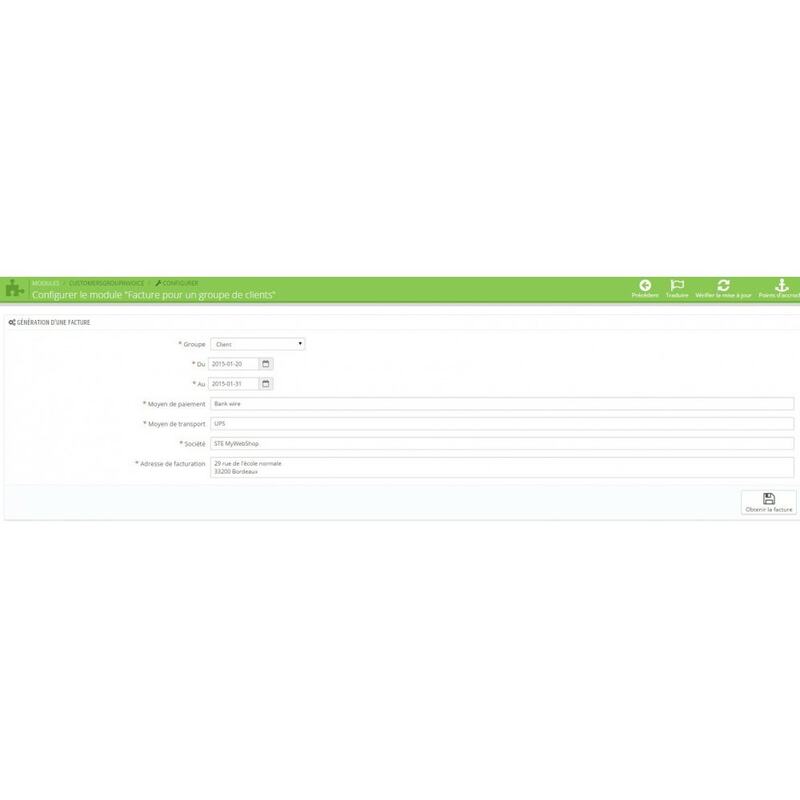 Generate a single invoice for all customers from one group over a period! Choose a customers group, a period, the payment method, the shipping method and the invoice address on the regrouped invoice. You get a PDF in one click! 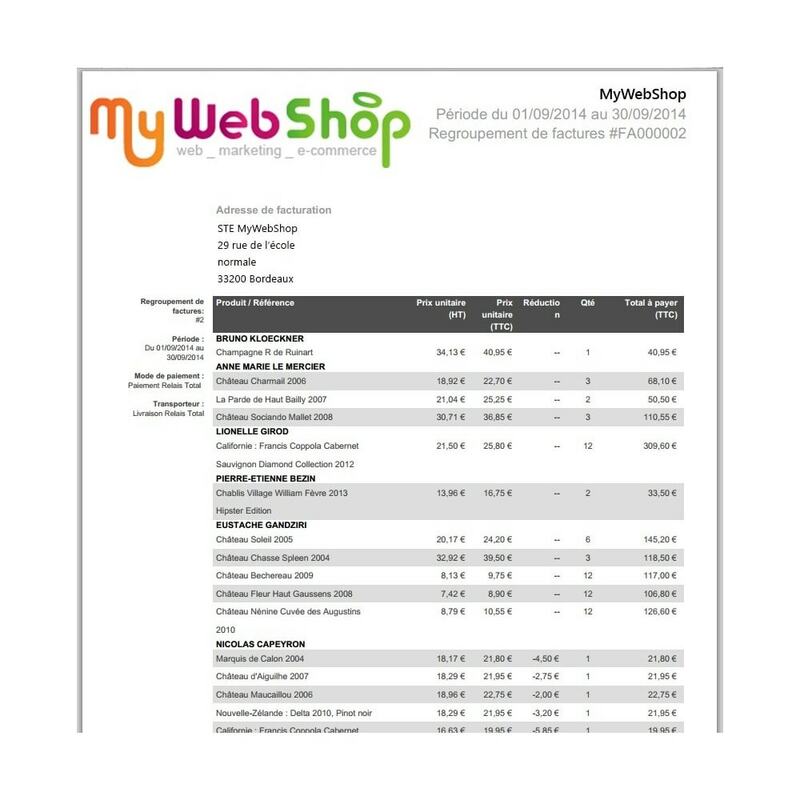 Automatic generation of a pdf invoice for all customers' orders in the selected group on the given period. Manage your pre-sale and post-sale queries easily with the prestashop helpdesk module. 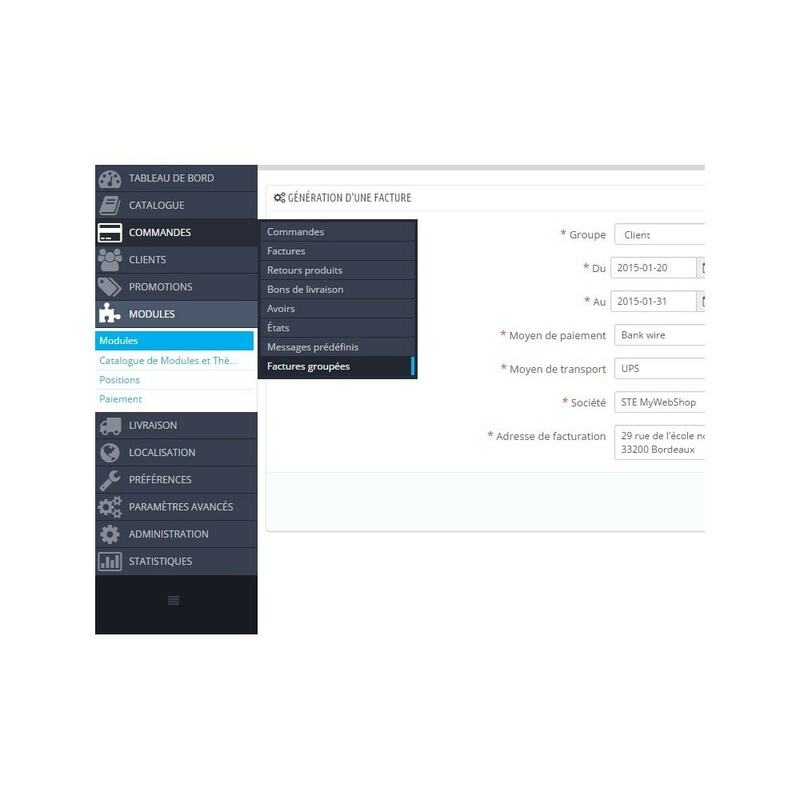 With this module visitors can create tickets regarding the issues/queries and admin will receive, process and respond to the tickets. This module has been designed and tested for PrestaShop 1.5 and 1.6 only. No support for other versions. Your customer receives a single invoice, detailed and easy to pay. Use the prestashop module installation tool.